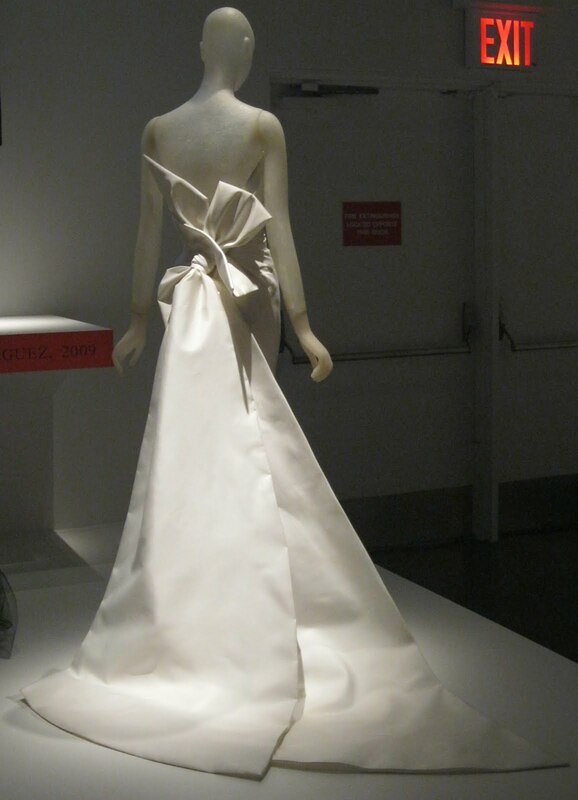 From IMPACT: 50 Years of the CFDA, now on view at The Museum at FIT, a white 2004 showstopper by Carolina Herrera. If I ever get invited to the charity ball I want to wear this. I love the bodice, with its gentle draping and the wonderful curve at the top. Impact: 50 Years of the CFDA is on view through April 17, 2012. You are right, Jill...this is a show stopper...just stunning! Thanks so much for sharing it! It is an amazing dress, though I could never wear it, especially this time of the year--my skin is nearly as white as the cloth! This exhibit looks like it is so stunning! I'd love to go view it - is that the dress that Renee Z wore? Hi Katherine, thanks for stopping by and thanks for joining my blog! If you get a chance, you should see this exhibit, it's wonderful. It's not a curatorially-driven show, so details on the pieces are limited to the designer and the year. FIT wanted to keep the focus on the different designers that make up the CFDA.